CAD systems are divided into: 2D and 3D CAD systems. Especially for complex sheet metal parts, the creation of drawings on three-dimensional models using 3D CAD systems is an important step in speeding up the evolution from idea to finished workpiece. Computer -aided design (CAD) is the use of computer programs to create two or three dimensional (2D or 3D) graphical representations of physical objects. Gerber Technology’s sophisticated software and hardware solutions help the world leading apparel brands and manufacturers to maximize quality and profitability and get their products to make faster, smarter and better. 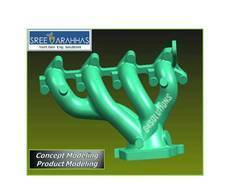 3D Solid Works CAD System for Coil Engineering and also Reverse Engineering. ALL IN ONE CAD SYSTEM FOR ANY APPAREL MANUFACTURING BUSINESS WITH NO HIDDEN COSTS. We offer wide range of Cutting section Tetra CAD product to our client. SmoothFlow™ combines the speed and flexibility of direct modeling with the precise control of dimension-driven designs, while simultaneously supporting the functionality of history-based modeling, making ZW3D one of the most advanced CAD systems available. 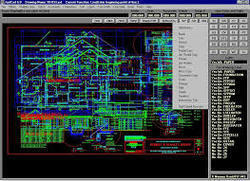 We have been providing CAD services, based on AutoCAD, since 1995. Our Services include AutoCAD job-work, corporate training, Customization and development using Auto-LISP, VBA and C/VC++, System setup and maintenance for CAD departments. We specialize in making Architectural animations, presentations, walkthroughs and fly-bys on the 3D-studio platform since 1996. An easy tool for viewing maps and tables created in MapInfo Professional. Advantages of Design 3D Efforts, time and money involved in sampling mockups and preparation of presentations are considerably reduced with 3D Design Software.